What’s one thing you feel good about as a parent? For me, one thing I’ve done right is that my kids love books. 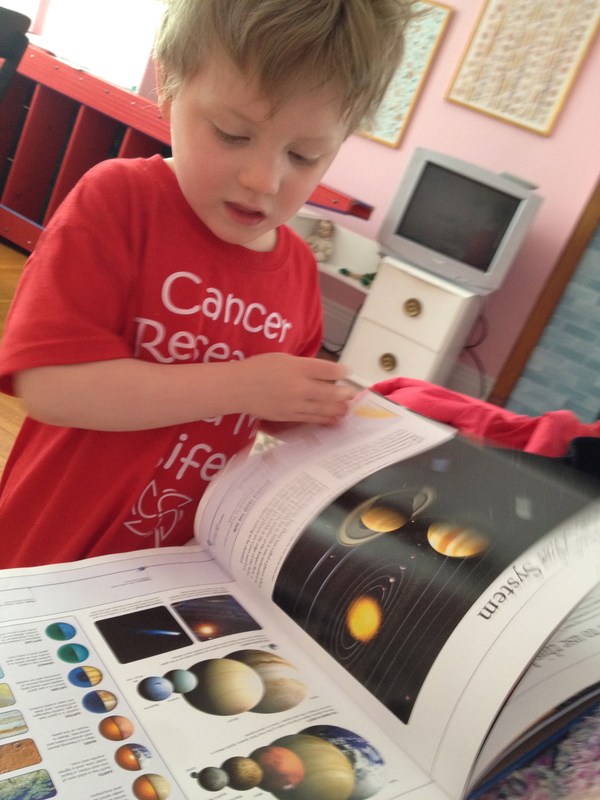 Here are some ways I’ve gotten my boys interested in books. We read everyday. At bedtime and the oh so missed naptime. We visit the library a lot. We go to a lot of bookstores, including when we are on vacation. Ok, so sometimes, it doesn’t work. I don’t want to go to the library. So, I try some new things. I stop at the library on my way home from work. It seems like I brought home a present! When they ask, “Did you bring me anything, I can say, oh yes, I did!” I also pick them up from school with new library books in the car. I try to find books that appeal to their interests at the time be it dinosaurs, buses, bugs, or superheroes. I refer “our” books in conversation. This could be Fly Guy, The Big Toddlah, Harry the Dog, Frog and Toad, whatever is popular at our house at the moment. We’ve made our own books. They know I read a lot and see my books. They’re aware I have a blog and I try to get their ideas for it and say, “Hey, can we read this book? I might need it for my blog.” They love that. For the most part all of this works. The other night, when they should have been sleeping, the three of us lay in my bed, each looking at our own book. They’ll ask me about what I’m reading. I also find books in their beds when it should be lights out. But of course, sometimes they just want to watch TV. 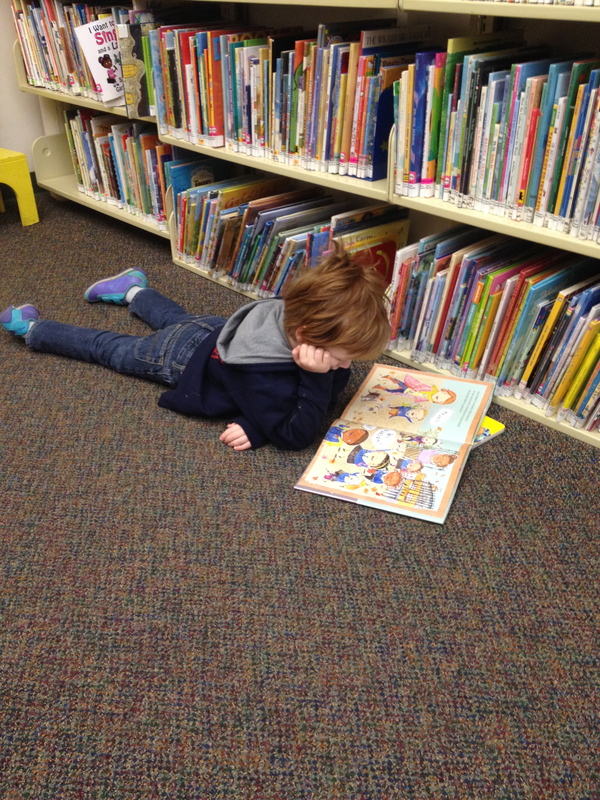 Sometimes, the best thing I can write on a #RaisingReaders Monday is a note like this: check out this fabulous post by Julia Mace of I Love Kids Books, entitled How I Get My Kids To Read. I love this post, Julia. I’m reblogging it for #RaisingReaders Monday over at kateywrites. When my kids get too obsessed with TV (which is often) I try to roll their favorite shows into other activities. How about watching Master Chef Jr, then picking some recipes from our cookbooks to make ourselves? Or streaming Magic School Bus on Netflix, followed by a trip to the library to get a few Magic School Bus books – and a book of science experiments we can do at home? Have an awesome week – and keep up the great work #raisingreaders! Your kids are so lucky to have you. Katey! This made my day. My first reblog!